Daniel Bergman, who I like to call Devil-boy, seen here making a very evil face, as Mark Mothersbaugh's artwork looms above him. 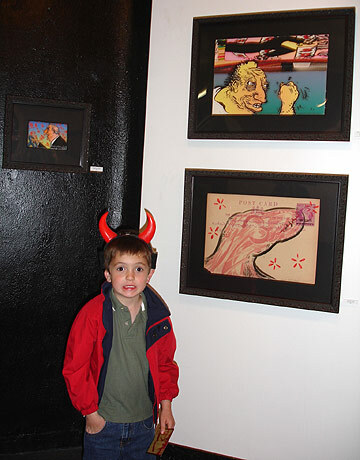 He also wore devil horns to Mothersbaugh's 2004 show at Perihelion Arts. Thanks for coming to the show, Daniel!